The most common garbage found on the roadside are usually glass bottles, aluminum cans, plastic cups, Styrofoam, and food packaging. On the beach, items such as: shoes, larger plastic containers, drinking bottles, and shredded plastic are found. Plastic debris is a major concern to MINW, as tiny bits of soft and hard plastic are small enough to be swallowed by marine animals and wildlife. Campbell explained what inspired her cleaning efforts. “I have been independently cleaning sections of beach for almost 25 years. 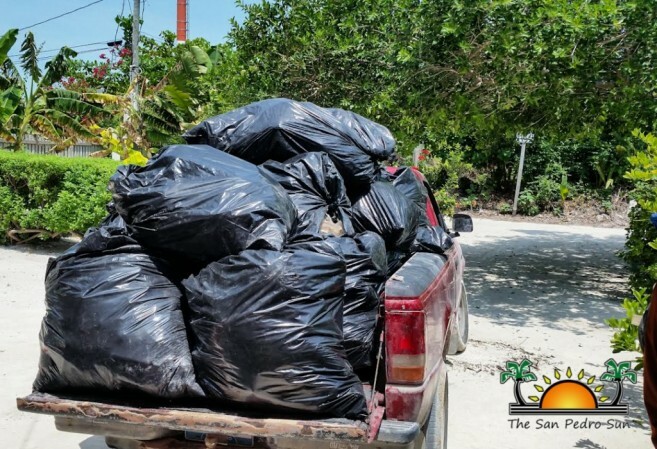 About five years ago, I worked with the Belize Tourism Board and the San Pedro Town Council to implement a major north-roadside clean-up. Now the road goes farther north, there is more traffic and more trash. 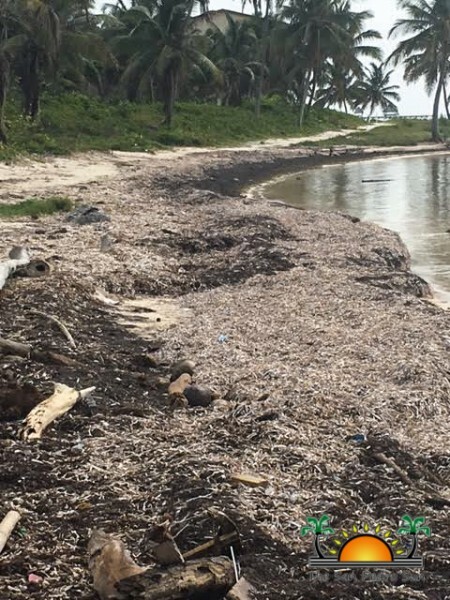 The beach is an ongoing issue, and one we will need to attend to consistently. The community needs a good environment for the people, for the visitors and to ensure good health. A cleaner environment is a healthier environment,” said Campbell. She also said that the uncontrolled garbage can impact our tourism industry. “I think if we have better and prettier beaches, we will have more repeat visitors and as a result, a more vibrant economy. 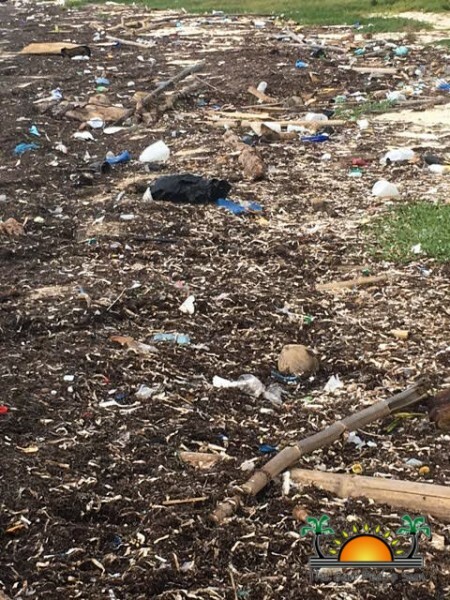 It seriously offends our visiting tourists who complain about how dirty our island beaches are. The environment is damaged by this trash. In fact, you see many negative comments about the dirty beaches and roads in tourist reviews of our island. Our livelihoods depend on the environment. Keeping it clean is an essential step in preserving the environment and our natural way of life,” said Campbell. Additionally, the trash along the roads contain water, which can breed mosquitos and pose the risk of vector borne diseases. MINW also focuses on its neighborhood’s health and safety. In order to get a more effective response in the event of a natural disaster, MINW is currently updating a list of residents and resources. They continue to work alongside with the San Pedro Police and the National Emergency Management Organization to keep their area informed and linked to appropriate aid in a case of emergency. 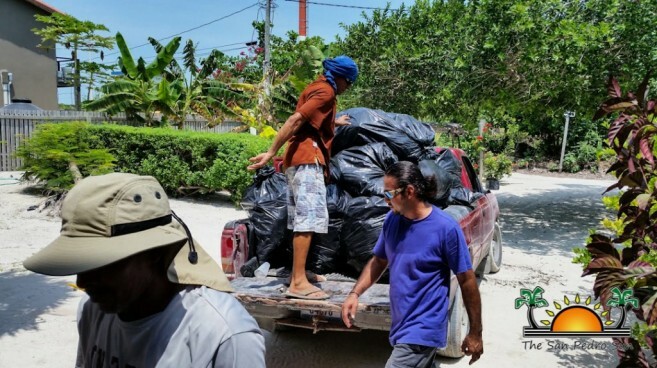 These cleanup efforts would have not been possible without the help of the following: First Friday group at Tres Cocos, The Phoenix, DFC Eco-rangers, and Officer in Charge of the Coastal Executive Unit Superintendent Henry Jemmott. MINW also thanks all of those who have volunteered in the past, and looks forward to new volunteers. Remember, let’s ALL keep La Isla Bonita clean!